Stacked on the grass in Safa Park will be 2000 of Jeremy Deller’s Folksong posters in Arabic for the public to pick up for free. The Archive, a cafe and library in Dubai’s main public park, is one of the cities latest non-profit spaces whose mission is to provide a platform to promote a diverse and active cultural community. 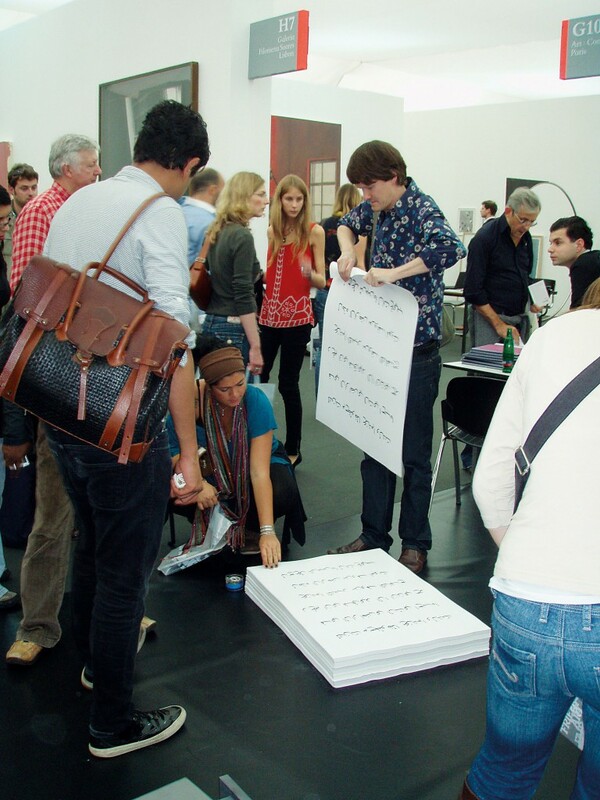 With constant workshops, talks and educational activities, the space is a leading hub of cultural exchange and we hope all posters will go by the end of the show. The Archive, Safa Park, Gate 5.